Some of you may or may not have heard of Sara Phillips. If you have, you know why I would be writing this blog, and if you haven't you ought to check her out on this link. Melbourne stockists include Hokey Curator and Alice Euphemia. I first heard about Sara Philips through a stylist friend. When I saw Sara's garments, a chill ran down my spine. 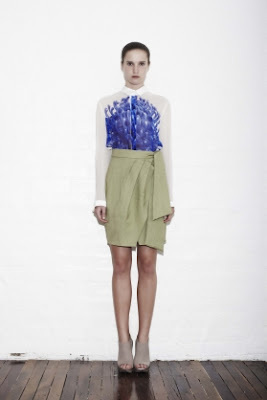 Her Autumn/Winter 2011 Unbridled collection blew me away. My favourite pieces were her silk printed shirts. I could tell this would be a long lasting love affair! I don't yet own any of Sara's garments, but I have no doubt I will some day soon. Her online store looks fabulously chic! 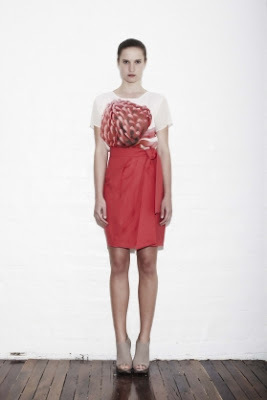 Here are some of my favourite looks from her High Summer 2011/2012 Natural Law collection. I am passionate about supporting local and Australian designers. If we keep purchasing from chain departments stores, these independent designers will cease to exist! Be original. Don't follow the fads. Buy designer and be your own style muse!